You can claim for any loss which arises as a direct consequence of the incident. You must prove the loss and you must show the loss is reasonable. We can discuss your case with you and explain what a loss is and what you can claim for. We recognise that injuries will vary in severity and have provided a helpful guide in our Cycling Injuries Section. You are entitled to claim loss of income - all you need to establish is that the period of absence from work was reasonable. However, you may not be able to get back to work or, if you do, you may find that, because of the injuries sustained, you can no longer do the job you did prior to your accident. It is important to claim future loss of income. 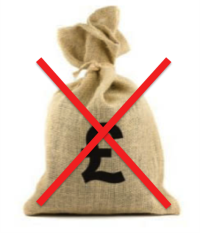 At Cycle Law Scotland, our team of highly experienced lawyers know best how to establish and prove loss of income. In more serious injury cases, we will work with vocational experts to consider the impact of an injury on your future earning capacity. You can claim for the damage to your bicycle and any repair costs for getting your bicycle roadworthy. We will work with you and any preferred repairer to obtain details of the extent of the damage to your bike and a full breakdown of the repair costs. If your bicycle is off the road, you may consider hiring a bike. Some companies specialise in hiring bikes and, after all, if the accident was caused through no fault of your own and your bicycle is off the road, you should be entitled to recover the cost of a hire bike. If your helmet has been damaged, you are entitled to claim for the replacement cost of your helmet. You are also entitled to make a claim in respect of any damage to your cycle clothing and damage to other items - for example, laptops and mobile phones that you may have been carrying in a rucksack or an mp3 player and earphones that were damaged on impact. You can claim for the personal injury you have suffered as a direct consequence of the accident. Unfortunately, as a cyclist, you are exposed to the risk of serious injury and, if you have been injured it may take some time for the injuries to heal. The value of your claim for personal injury very much depends upon the type of injury sustained and the recovery you have made or are likely to make - we can arrange to have you medically examined by a specialist medical expert, who will be able to assess the extent of your injuries and the likely recovery period. In serious injury cases you can also claim for care needs, future care needs and requirements, as well as alternative or specially adapted accommodation. You can claim for any reasonable medical expenses, such as private physiotherapy. It is important that you keep a list of all expenses and losses incurred following upon your accident. Our priority is to obtain the maximum financial recovery in the shortest possible time. We will not compromise your claim by early settlement and, before we value your claim, will be guided by medical experts in respect of your award or likely recovery period. This process will be undertaken in consultation with you, providing you with a clear understanding of how lawyers assess the value of a claim for compensation. Enter your details above to enquire or just give your name and number to request a call back from one of our specialist cycle accident lawyers. 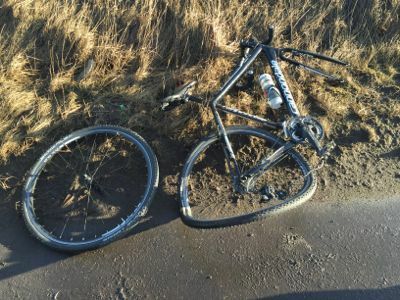 Cycle Law Scotland provides cyclists with specialist legal representation for personal injury following a road traffic collision. We hope it never happens to you but, if it does, we are here to help. Protect yourself now by signing up for our FREE Legal Expense Protection package. Complete the registration form to receive your free Legal Expense Protection card. Sign up for our FREE Legal Expense Protection package.